Still only 8 cards per page for 1955 Topps. 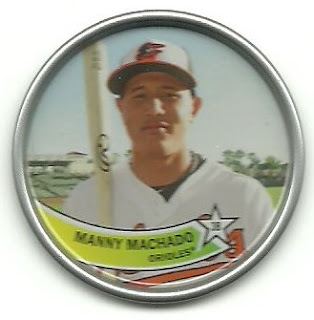 Cards are numbered #1 - #210, but 4 cards were never made, making this 206 card set, the smallest that Topps would ever produce unless you include the 1951 Topps Doubles Baseball Playing cards. 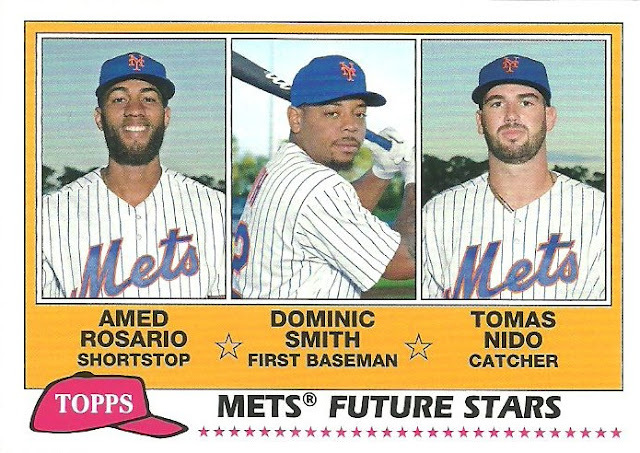 Can anyone name the 4 players that should have been in the set without looking? Answer will be at the bottom of this post. 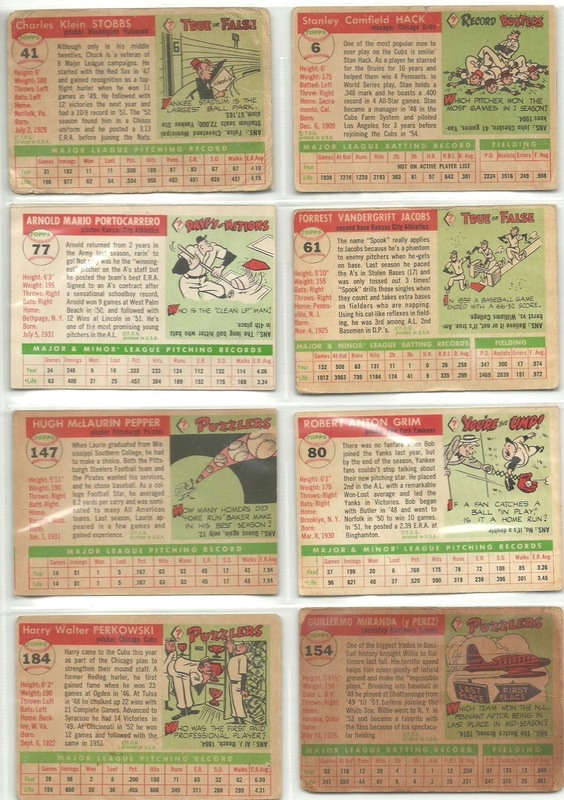 The 1955 Topps high number series which includes card #161 - #210 are a little more scarce. I have one from the high number series on my page. #6 Stan Hack - Featured here as the manager of the Chicago Cubs, Hack had relatively little success as a manager, but he is likely one of the better players that you've never heard of. The five time All-Star played his entire career for the Cubs between 1932 - 1947. He batted .301 lifetime with 2,193 hits and as a third baseman he led the N.L. in stolen bases twice. #41 Chuck Stobbs - Stobbs pitched for 5 different teams and the Senators twice over his 15 year career, but with a losing record and ERA above 4.00 he is probably best known for giving up the 565 foot home run to Mickey Mantle that exited Griffith Stadium in 1953. 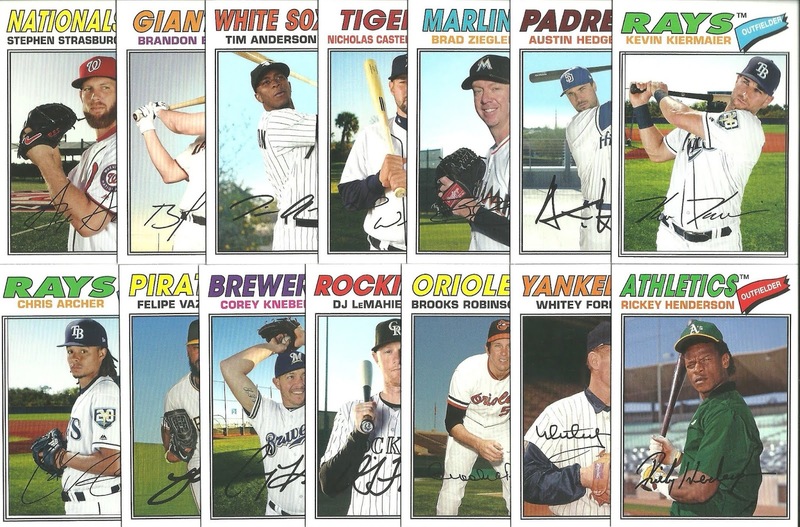 #61 "Spook" Jacobs - An avid stamp collector, Spook had part of his personal stamp collection showcased at the National Baseball Hall of Fame in 2008. #77 Arnold Portocarrero - The 6' 3" right-hander led the Orioles in wins in 1954 with 9 and was second in the A.L. in losses with 18. #80 Bob Grim - This is the rookie card of the 1954 A.L. Rookie of the Year. 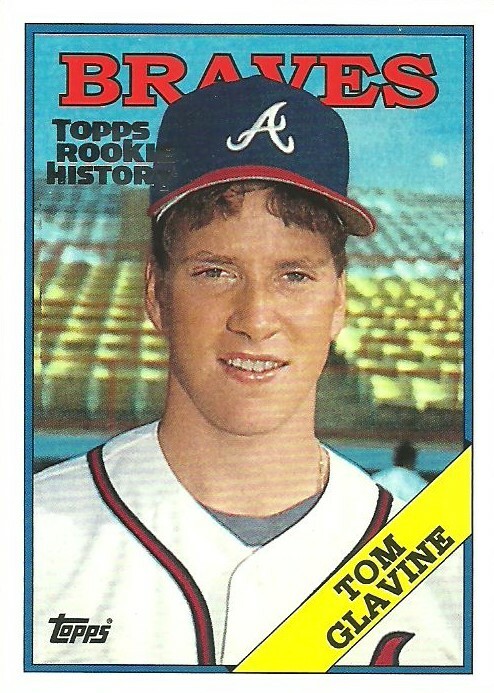 Grim was 20-6 with a 3.26 ERA in his rookie season. #147 Laurin Pepper = A collegiate football star, Laurin was drafted by the Steelers in 1954, but choose baseball instead. #154 Willie Miranda - Try looking up Willie Miranda. I couldn't find him. Now try Willy Miranda. This card was printed after Willy played his final major league baseball game. #184 Harry Perkowski - A below average pitcher featured in a Cubs uniform during his only season with the Cubs and last season at the big league level. The missing cards are #175 - Stan Musial, #186 - Whitey Ford, #203 - Bob Feller, and #209 - Herb Score. 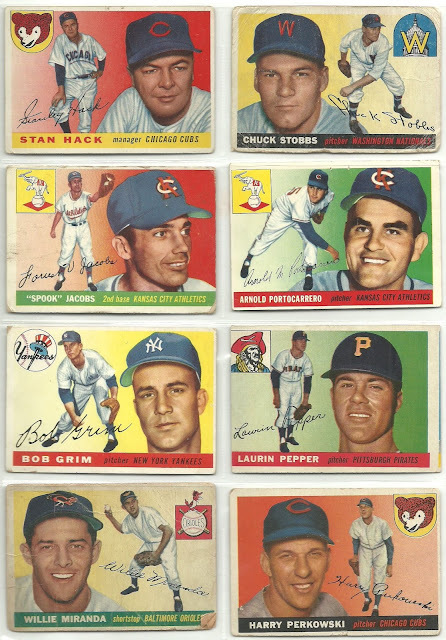 Do you have a favorite from 1955 Topps? I don't know about you but I'm loving the old-school team logos. The cartoons/trivia on the back are pretty great as well! 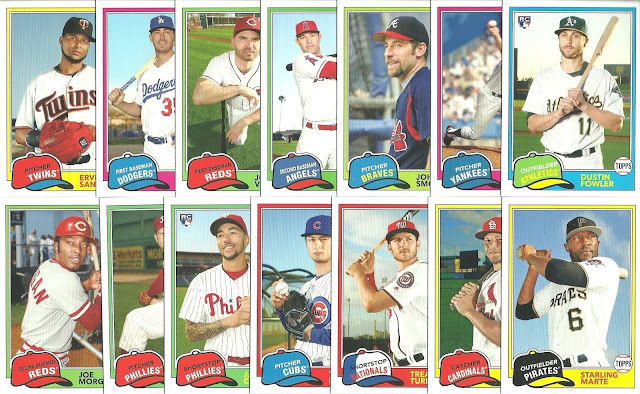 A week or so ago I bought a blaster of 2018 Topps Archives. 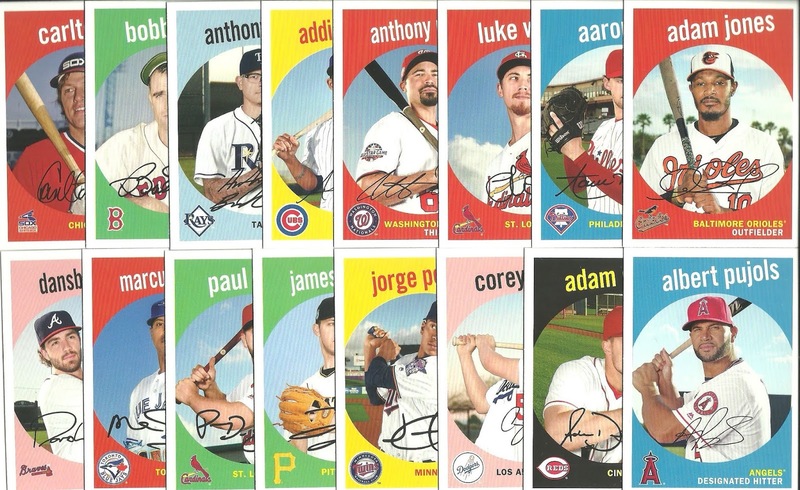 Base cards are 10 cents each. 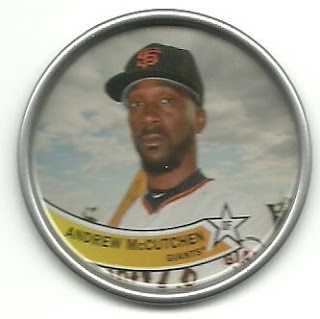 Coins and inserts are 25 cents each (If Collecting Cutch needs the McCutchen coin, then it's his). 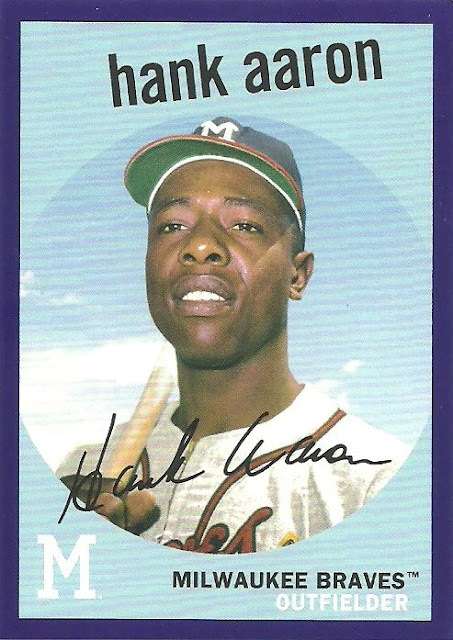 First person to buy 10 or more cards gets the Hank Aaron for free (it's got a soft upper right hand corner, but is numbered out of 175). You can request shipping at any time. It will be $3.00 if you buy less than $5 and free if you spend more than $5. I'll try to post more cards this week.